Jeepers Peepers! 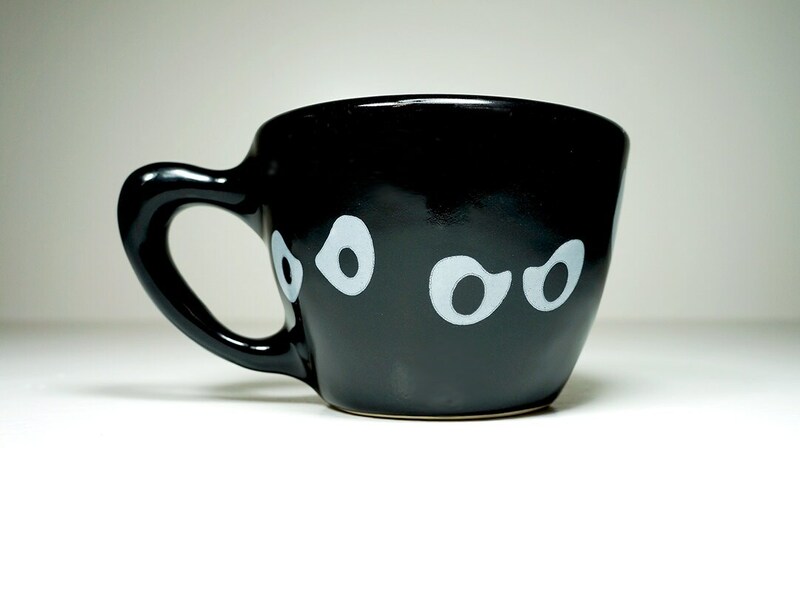 12oz cup in blackest black glaze, made to order. 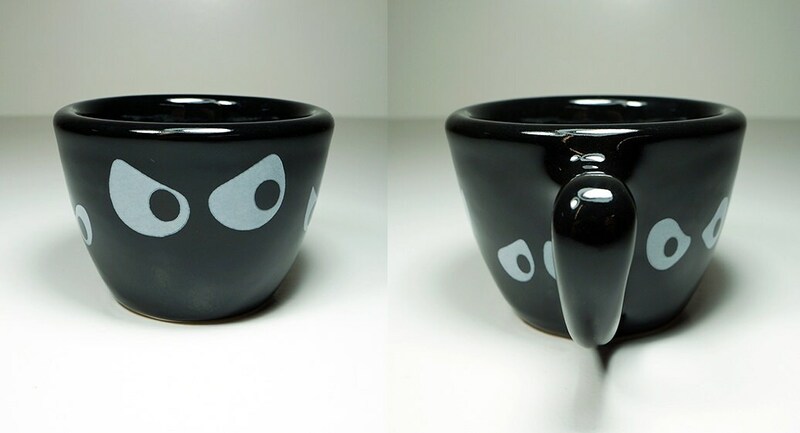 Funny cup--love the comic design! 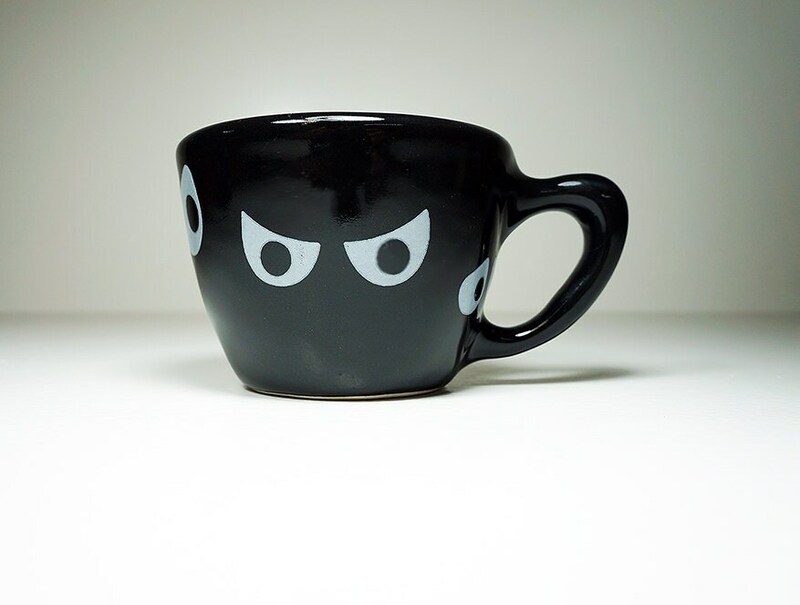 This cup is an entertaining way to start your day. 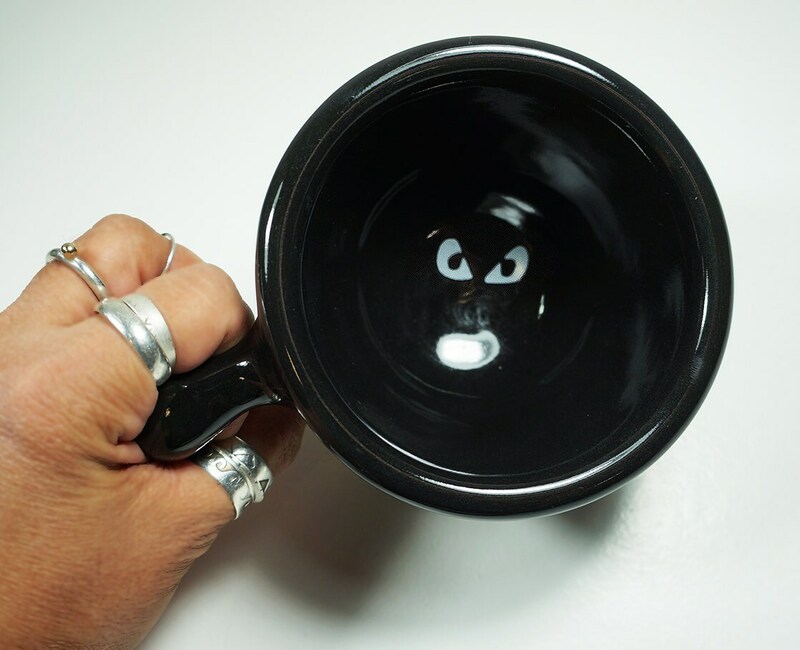 It's a reward to finish my coffee in the morning to see those eyes staring back from the bottom of the cup. Love it! AND Andy shipped it to me before Halloween! 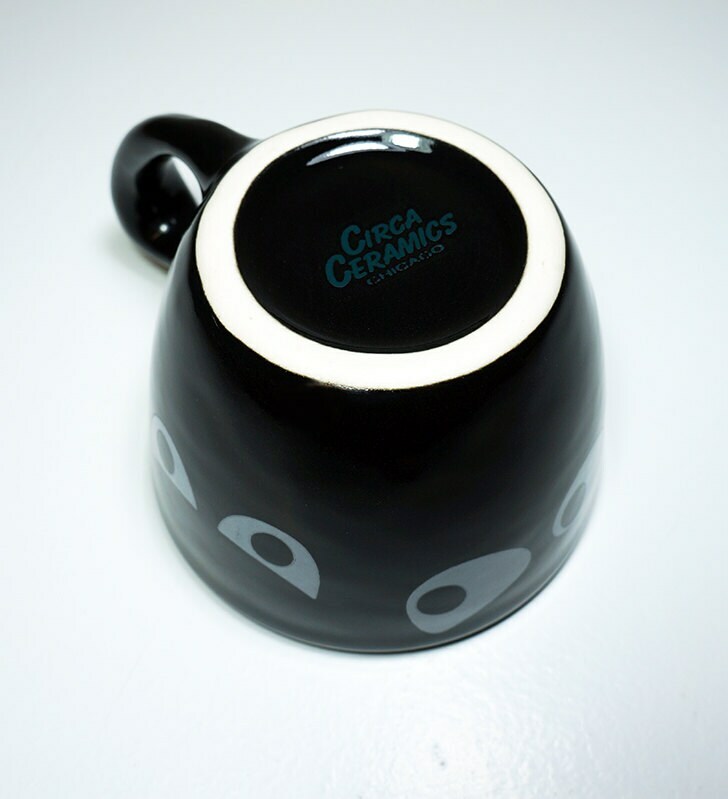 Circa Ceramics is the best!